“Now TED has made a very bad mistake, gone too far, as the arrogant always do. This has caused a revolutionary fervor to seize the comments section at the marginalized Bad Children’s corner they have assigned the Sheldrake and Hancock video clips to on their site, as TED founder Chris Anderson tries to excuse himself to a distant destination where he can’t respond to Hancock’s clear questions, while holding up a Wikipedia page as an attempted shield. What is being fought here? Who are the opponents? What do they stand for? 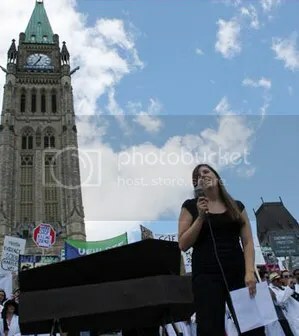 “Raw milk opponents and doctors strongly warn against the consumption of unpasteurized milk for infants, children and pregnant women, arguing that these individuals are more susceptible to illnesses that raw milk could cause. However, a new study that took place across Austria, Finland, France, Germany and Switzerland shows a connection between the consumption of raw milk and lowered rates of colds and infections among children. This study clearly relates Raw milk and lower infections in children. 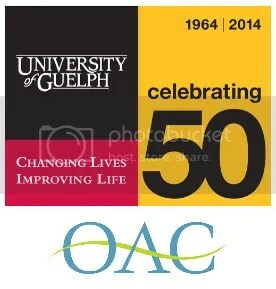 The Ontario Agricultural College at the University of Guelph will be hosting a one-day symposium on science and policy questions around raw milk on Tuesday April 22, 2014. Academics, industry and government representatives are expected to attend. 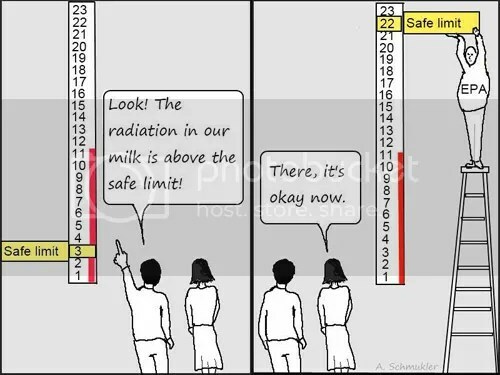 Click image to go to Fermi 3 for the source of this and other nuclear cartoons. “We’ve got 3 reactors, the cores have left the vessel. They’ve burned through the bottom of the vessel. We don’t really know where they are, because the radioactive environment even fries robots that TEPCO’s been trying to send in there. They have been sending very innovative robotic machinery and sensors in there to get a picture, to get a reading, and these things don’t return. We have opened a door to hell that cannot be easily closed – if ever….” — William Boardman, on Reader Supported News.